He was not the only Hong Konger to make the trip. Others included Dr Simon Shen, a prominent international relations academic and commentator from the Chinese University of Hong Kong, and Dr Hui Ching, from the university's Institute of Future Cities. All were in town for their first taste of Singapore's hustings. Hong Kong's media covered the election extensively, with dailies such as tabloid Apple Daily sending reporters to Singapore. The new Cabinet announced two weeks ago was also widely reported, with particular focus on the PAP's succession planning. The keen interest in Singapore's political landscape comes at a time when Hong Kong is undergoing heightened angst over its own political destiny and governance challenges. Two Mondays ago, it marked the first anniversary of the start of the controversial Occupy movement which sought - but failed - to secure greater freedoms to elect the city's leader. Hong Kong's commentariat has long taken an interest in Taiwan's election, with its freewheeling brand of democracy. 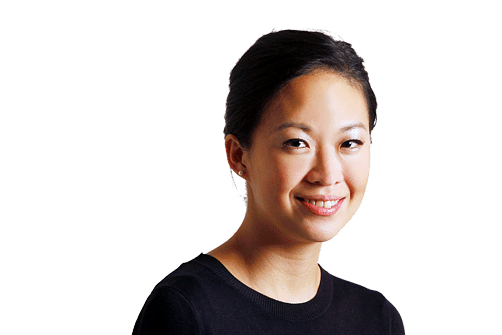 Now, with many Hong Kongers fatigued by endless rounds of political wrangling and Beijing looking unwilling to budge, the so-called Singapore model is beginning to look like a more feasible compromise to some. Says Dr Shen: "To many observers, the model of Singapore might suit Hong Kong better than the Taiwan one. In Singapore, both stability and democracy exist." However, a crucial difference between the two former British colonies - namely, that Singapore is a sovereign nation while Hong Kong is not - limits the extent to which the Singapore system can be applied to Hong Kong. That said, those who visited Singapore say there are some specific takeaways from last month's GE, which saw the PAP win 69.86 per cent of the valid votes cast. One particular lesson for Hong Kong's pan-democrat camp is that vocal netizens and huge turnouts at street assemblies do not necessarily translate into electoral support, says Mr Chan, a member of the radical People Power party which organises protests and uses filibustering as a tactic to block government policies. "The power of the silent majority - this is something we need to take note of." In a commentary, Dr Shen identifies salient points from Singapore's opposition politics which could apply to Hong Kong's as well: the need to cultivate a level of grassroots organisation to provide daily services to residents rather than "just shouting empty slogans"; and the care not to alienate the mainstream. Another lesson is for Hong Kong's governing class to clearly demonstrate its commitment to the people, says Dr Hui. For Mr Chan, there is a salutary personal lesson. Among his Hong Kong friends in Singapore are those who support the Occupy movement. Yet, they told him, they would vote for the PAP if they are Singaporeans. "I felt puzzled. We Hong Kongers feel Singapore is not democratic and the PAP is like a nanny. Why do my friends support it? "After talking to many people, I understood a government's legitimacy can be from different sources. It can be derived from free and fair elections. Another is performance legitimacy - even if you took power in an unequal playing field such as with gerrymandering but you perform well in that position, the citizens will support you." For Singaporeans, whatever comments Hong Kong's players make about the Republic will have to be understood in the context of their respective agendas. In recent years, both ends of Hong Kong's political spectrum have found much about Singapore's system to praise. The city's establishment and pro-Beijing bloc do so, often to underscore the point that Hong Kong is lagging Singapore in terms of economic development and competitiveness. This, they blame on political gridlock engendered by the pan-democrats. The democrats, meanwhile, counter that the ruling class in Hong Kong is just not up to the mark, compared to Singapore's. Mr Chan, for one, laments that Hong Kong lacks an "independent leader who will work on behalf of the people, instead of on behalf of Beijing". Whether such remarks are fair or otherwise, one thing is for sure: For as long as the political disquiet in Hong Kong continues, its politicians and people will continue to seek references from afar, including from Singapore.